About to pour me a big ol glass of milk! 2 big glasses of cold well water right outa the tap water, but I feel a third coming on soon. You know they don't give those blue ribbons out for nothing. Water. Was outside a lot today, scouting for turkey sign and then fishing. I think I'm finally turning into a Carolina chick. They said the Blantons did not last a few hrs there. Just missed it or I would have had more. Found a bottle of Bulleit Bourbon Cask barrel strength. Have not seen this one in there before. Quarterly release of the annual allotment. Next release in June. I was able to pick up a few Blantons. None of the letters I need but still good bourbon. 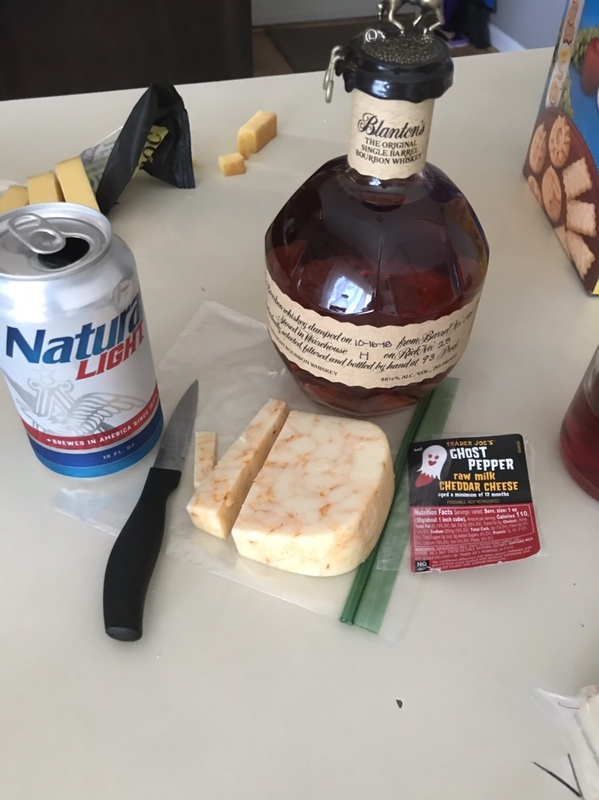 dang fellow,,,you had it going with the blantons and cheese,,,then I saw that natty light,,,buzz kill! Anyone have a Blantons topper with the first N (no dots) or T? Can never seem to find them. I’m trying to finish off the last of a bottle of tin cup. It’s not bad....but it gets tougher as you get deeper in the bottle. Last week was Johnny walker and some kind of maritime gun. Both of those were on point for sippin. Be careful man ol johnny will sneak up and make you do stupid stuff!!! I’ve tried a few scotches and never been a fan. That was my first go with Johnny walker. 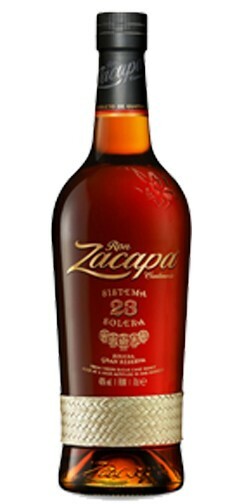 Exceptionally smooth and easy drinking. Never liked gin...but that bottle was quite good. Almost to the point of a bit too sweet. If a person wants a good desert sipper, amaretta and orchada.....I think I butchered both of those names. That’s a good sweet slow sipper after dinner. The orchada and fireball can be similar. Definitely not for the folks that like plain bourbon on the rocks. It is basically the difference in a dirty martini and a desert martini. Not at all the same but delightful in their own ways. I've never been a big fan of scotch either, but if you get a chance try one called Oban. The one I was sipping last night is a 14 year old scotch, and it's very nice in my opinion. So far tonight, stated out with Evan Williams 1783, now a rum Chada and fire ball. Nothing fancy like you guys just plain ole crown dumped in Mt dew. I swear i could drink a gallon if i did not have kids asleep in the house. Rum (Captain Morgan Black) and Coke tonight. Normally I prefer beer, but liquor and soda hold up better in a backpack. Tonight made a dirty martini for me using cape fear maritime gin. That is a great gin. Made the lady a cranberry cosmo. I tasted that one and it was spot on. I got a bottle of Cape Fear maritime two weeks ago, best gin I've ever tasted. Rick and them hit a homerun with recipe.